How We Are Different — Powerful and creative solutions that make your life easier. When you are trying to organize the content on your website, social media or even your marketing materials, you want a quality and professional digital marketing expert and talented copy writer and content writer to help you. By working with Jaguar Media, you get all this and much more. Quality is our top priority. Jaguar Media does not outsource content writing or any project. We do all of our content writing work right in house. All content is 100% original, guaranteed to pass Copyscape, and meets clients' content needs, standards, and guidelines, and is right on target with your brand's message. We also respect your time. All project deadlines are completed on time, every time. 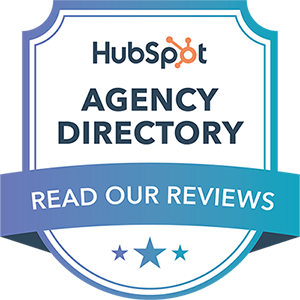 Stop spending your hard-earned money or boost-strapped dollars on marketing agency retainers. By working with Jaguar Media, you not only get quality content, reputable and professional services, and a great team, but also at a price that is affordable and within your budget. Most of our clients are startup businesses and organizations, many of which are under tight budgets. We've been there ourselves! At Jaguar Media, we believe in helping our clients grow their businesses, so we want to work within our clients' budgets as much as possible. We also believe in establishing and maintaining long-term customer relationships, and helping businesses reach their business growth and development goals. People do business with people they like. Jaguar Media is comprised of a team of REAL people whom you can trust. We are dependable, reliable, available and accessible. We believe in establishing professional and working relationships with clients that truly make a difference in their lives and in their businesses.